It's time for the first annual Hello Jack Gift Guides! During the next couple of weeks, I will be sharing my favorite gifts to give and receive. 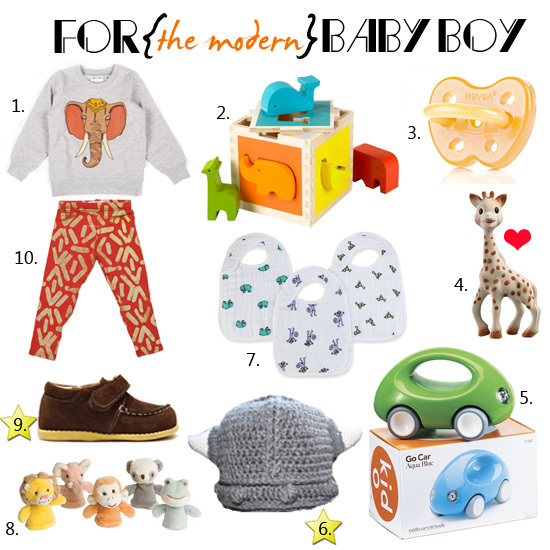 You will find gift guides for baby boys & girls, kids, teens and stylish moms! Look out for the gold star below next to certain products for discounts and giveaways! And next to Jack's favorite products you will find a special ♥. 6. Crocheted Viking Hat - $20 Enter code HELLOJACK20 and receive 20% off at Chaos and Love. 9. Brussels Brown Suede Shoes - $47.50 Enter code LOMLIFE&SOLES15 and receive 15% off everything at Life&Soles excludes sale items. Valid until 1.1.12. And don't forget to check out my other Gift Guides over at Layers of Meaning! Definitely one or two things to add to our wish list thanks! I love A+A bibs & blankets! I love the new DwellStudio toys. I think I'm adding this block sorter to my daughters Christmas list. Thank you. Those shoes are super adorable! 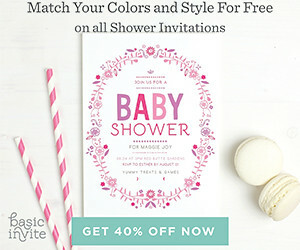 Thank you for sharing the discount code.